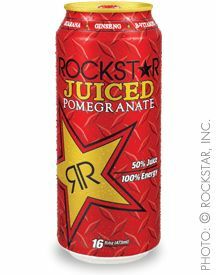 Amount Per Serving (Servings Per Container: 2): Calories 100, Total Carbohydrate 24g, Sugars 23g, Vitamin B3 20mg, Vitamin B5 10mg, Vitamin B6 2mg, Vitamin B12 6mcg, Sodium 25 mg, Energy Blend 1.35g: Taurine 1000mg, Ginkgo Biloba Leaf Extract 150mg, Caffeine 80 mg, Guarana Seed Extract 25mg, Inositol 25mg, L-Carnitine 25mg, Panax Ginseng Extract 25mg, Milk Thistle Extract 20mg. 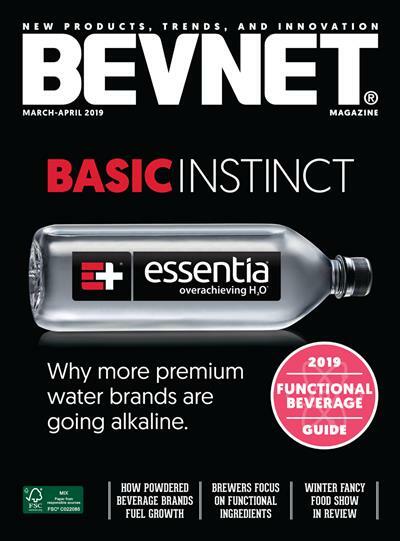 Carbonated Water, Fruit Juice Concentrates (A Blend of Pear, Apple, and Pomegranate Juices), Sucrose, Taurine, Citric Acid, Natural Flavors, Tartaric Acid, Benzoic Acid, Pectin, Caffeine, Sorbic Acid, Red #40, L-Carnitine, Inositol, Milk Thistle Extract, Niacinamide, Calcium Pantothenate, Ginkgo Biloba Leaf Extract, Guarana Seed Extract, Acesulfame Potassium, Sucralose, Panax Ginseng Root Extract, Pyridoxine, Hydrochloride, Blue #1, Cyanocobalamin. 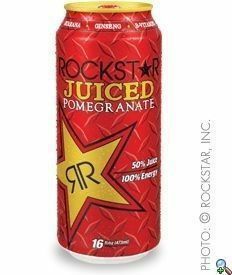 Rockstar's Juiced Pomegranate flavor is a refreshing blend of energy and juice that is packaged in Rockstar's trademark 16 oz. can. Using a 50 percent juice blend, the product achieves a natural-tasting body that hides most of the aftertaste. 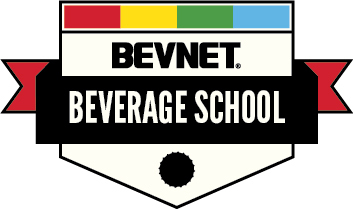 Another interesting feature of this product is its sweetener blend, which uses sucrose as well as acesulfame potassium and sucralose to cut the calories and carbohydrate content. Everything comes together nicely, giving you a nice boost of energy with a pleasant fruit flavor and minimal aftertaste. 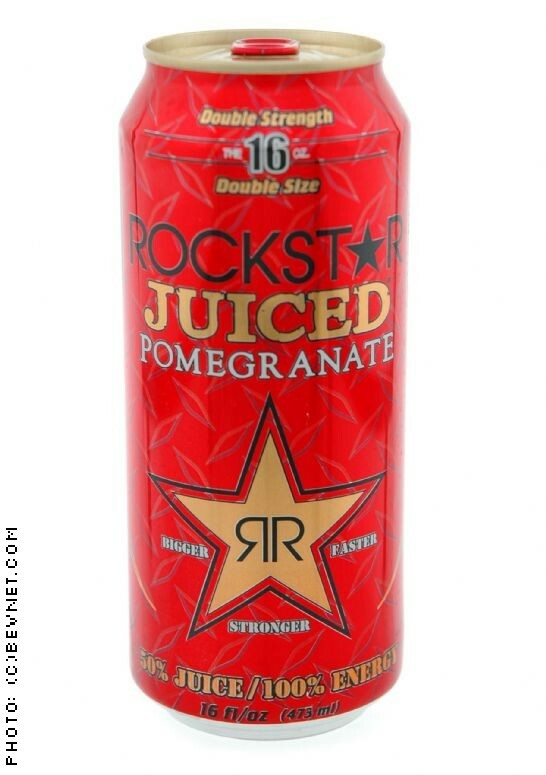 We're not sure if the trendiness of pomegranate means anything to the consumer of Rockstar, but this is definitely one of their best-tasting drinks to date. 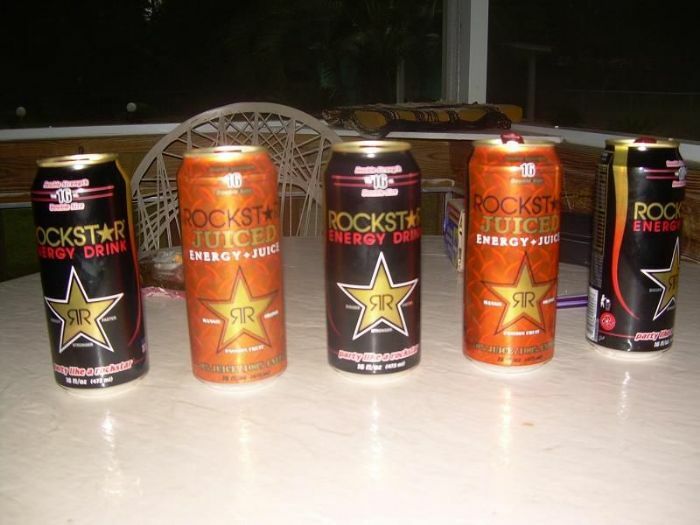 Finally, there's the can, which uses a bright reddish tone that's arguably the most attractive of the Rockstar lineup.